The project management process connects all the activities of a project together in an orchestrated way. This project management process template is a free visual resource for anyone who is managing a project that will need to be communicated in a clear and easy way. Although it may vary from industry to industry, the project managing process can essentially be broken into 5 stages, each of which requires communications to managers or stakeholders. 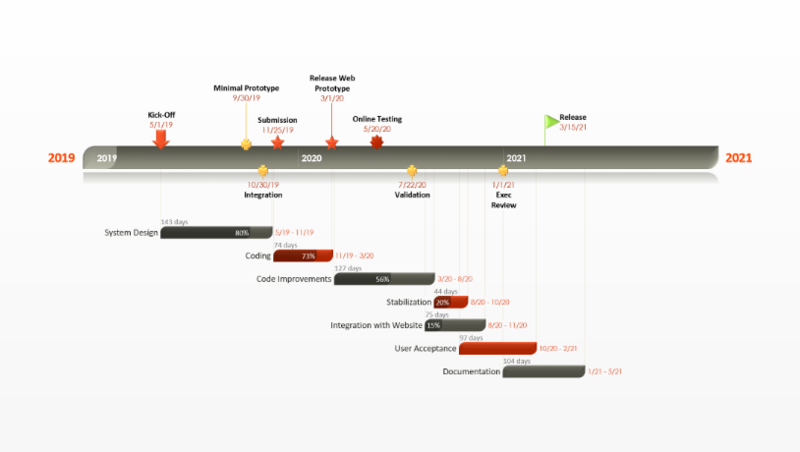 Communicating effectively throughout the lifecycle of a project will be critical to keeping stakeholders updated about the progress and engaged in the process. This template was designed to be adapted and updated so you can provide simple and clear project reports at any point throughout the project management process. 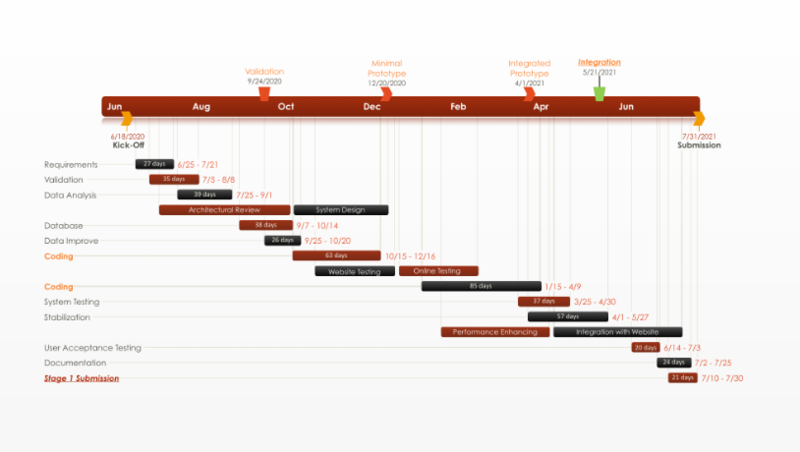 The template can be used during the conception stage of the process, to create project proposals or to model project timelines. During the project planning stage, use the template to outline the work and to draft a schedule that can be included in project charters and other documentation. 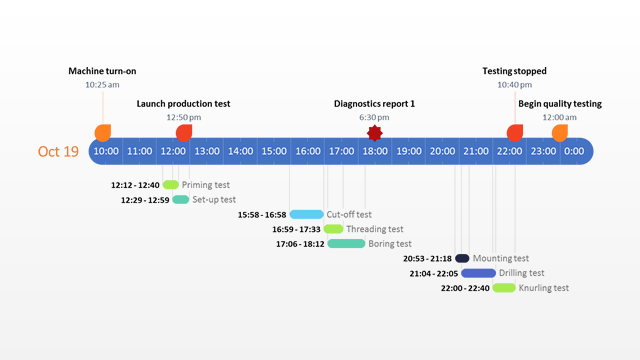 When in the project execution stage, the template can be updated to track deliverables and the overall progress of the project. This template should also be included in any progress reports that stakeholders require. 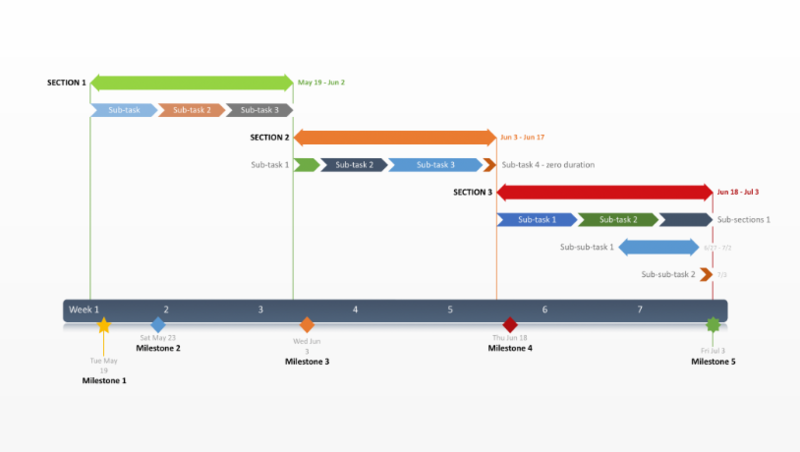 During the control stage, the template can be used to compare the project’s progress with the original plan to see where adjustments may be needed. In the final stage of the project management process, the template can be used to prepare evaluation documentation for learning purposes. 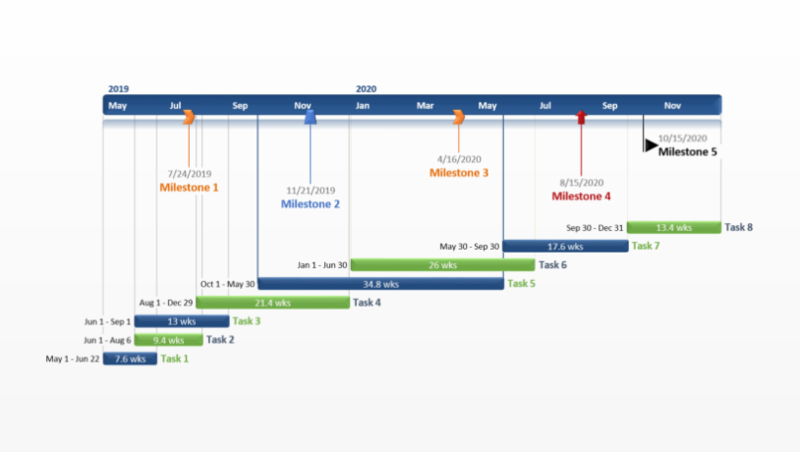 The project management process template can be edited manually in PowerPoint or it can automatically be edited using the free PowerPoint project tool from Office Timeline. The tool will instantly update the template with your most current project data at any stage of the project management process. It can also be used to instantly create new project slides that look professional and are easy to read and simple to understand.